A few rather risqué photos from my June trip to northwestern Oklahoma. Eleodes suturalis: Canon 100mm macro lens on Canon EOS 50D, ISO 100, 1/250 sec, f/13, MT-24EX flash 1/4 power through diffuser caps. Chrysobothris ignicollis: Canon 65mm 1-5x macro lens on Canon EOS 50D, ISO 100, 1/250 sec, f/13, MT-24EX flash 1/8 power through diffuser caps. Ellipsoptera nevadica knausii: Canon 100mm macro lens on Canon EOS 50D, ISO 100, 1/250 sec, f/14, MT-24EX flash 1/4 power through diffuser caps. This entry was posted in Buprestidae, Cicindelidae, Coleoptera, Tenebrionidae and tagged beetles, behavior, darkling beetles, entomology, Great Plains, insects, jewel beetles, nature, Oklahoma, science, tiger beetles. Bookmark the permalink. I was in south-west Saskatchewan last week and came across some tiger beetles on the sandy banks of the South Saskatchewan river. I never could get close enough for a good photograph! Is it easier when they are mating? Welcome to my world. Actually yes, tiger beetles and most other insects it seems are somewhat easier to approach while they are mating. I’ve noticed that it is usually the female that is first disturbed, and the male – blissfully preoccupied – will actually resist her attempts to kick him off so she can flee. That’s exactly how I got my first tiger beetle shots last week in Oregon! Baby steps – now you’re ready to go after the loners! Well, that answers the question. Yes, beetles do it too. Its lovely to see such love in these beetles but its nothing like our love, theirs involves total instinct, although I have seen lots of beetles mating and the males do appear to enjoy the encounters with their females as judged by their movements and antennal excitations! 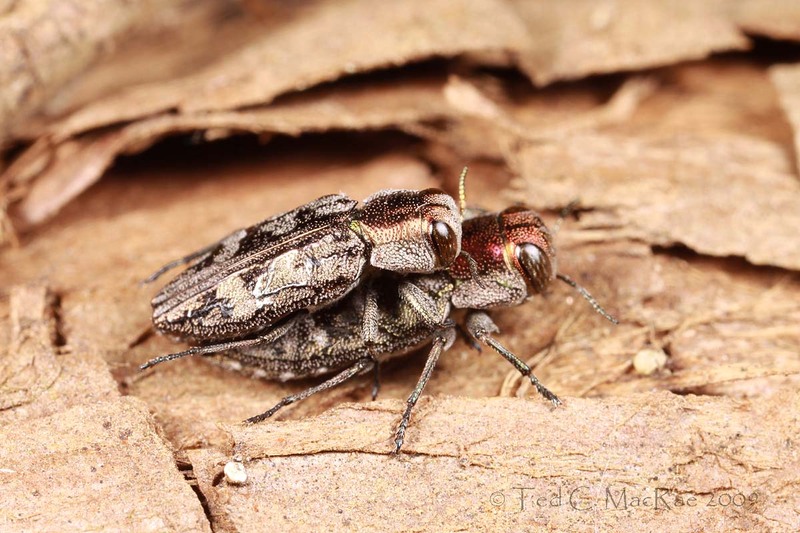 Mating behavior in beetles and other insects is a poorly studied field. Maybe scientists are too conservative and scared of being labelled voyeurs or peeping toms! Love this blog. Keep up the wonderful photography and field work. Hi Trevor – thanks again for your always kind comments. What I’m finding interesting is noting the range of postures by the males – especially with regards to how they hold onto the female. 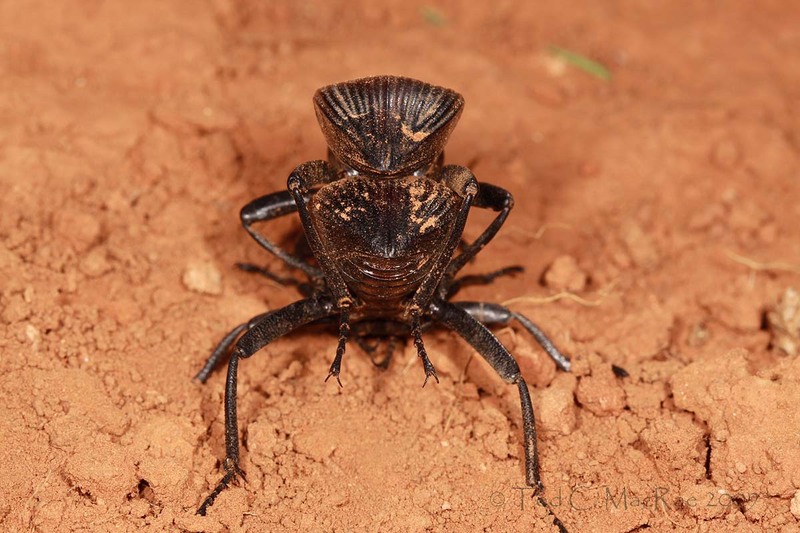 The Eleodes and Chrysobothris beetle males use their pro- and mesolegs for clamping the female and dangle their metalegs free, while the tiger beetle male clamps only with his mandibles and none of the legs. Even weirder, the prolegs are extended out to the sides and the meso- and metalegs are footed onto the substrate. In all of the tiger beetle species that I’ve observed mating so far the males have adopted this same posture. I can understand the mandibular clamping, but why extend the prolegs out to the sides? I love it, Ted:-) A sense of humor is always a great way to get folks hooked on your blog. Keep up the great work, and thank you for sharing your experiences and wonderful images. 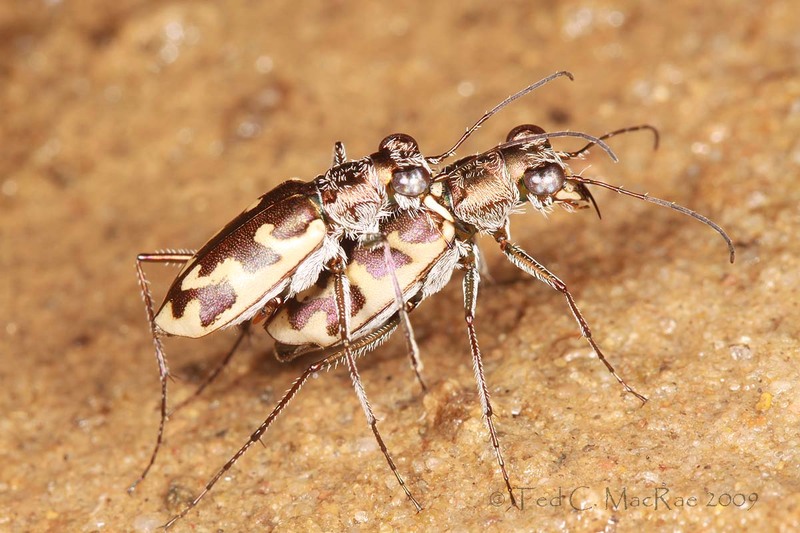 Hi Cory – glad to hear of another tiger beetle aficionado in Missouri. You’ve got some good ones down in that part of the state – ask Kent about cursitans (if you haven’t already). Yes I have seen cursitans. Kent and I went hunting for them a while back and he found one, wow it is small. Kent also found lepida the other night when we went blacklighting at Mississippi River. I have recently found Carolina and Virginica and punctulata showing up at the front door of my house by means of Blacklight or found around the outside base of my house. It’s awsome!!! 3 days ago was the first time I have seen Virginica ever. Since I am new to this hobby at first I thought maybe I had a solid green Carolina but Kent informed me otherwise. So I was excited to have another Tiger Beetle added to the collection. It’s funny to hear someone excited that they found Tetracha virginica instead of T. carolina – for me it was the other way around, since the former is common throughout the state while the latter is found in Missouri only in the southeastern lowlands. Hopefully you and Kent and I can meet up in the field soon. T. carolina seems to be, from personal experience, common down here in SE missouri. Just look under some poly pipe or in a moist ditch end of a field. The Bootheel is a crazy place of mixed habitats it seems. And meeting up sometime would be great. Although I expect that you as well as Kent seem to have crazy schedules. Somewhere hidden in the chaos we seem to find time to play. Yes, we’ve got lots of records of T. carolina from down there. I first ran across it several years ago at building lights at the Delta Center – that was fun. I seem to pick up a few from here or there everytime I’m down there. I have a love/hate affair with the bootheel – check out my Sand Prairie Conservation Area post for more details about that.